Jackie Murray outside of City Hall. After a year of gathering signatures, an initiative petition seeking to overturn Spokane’s so-called “sanctuary city” ordinance that restricts police and other city employees from making contact with individuals solely based on their immigration status has qualified for the ballot. But Jackie Murray, a Spokane truck driver and sponsor of the initiative, says she feels “conned” into becoming its public face and was treated as a “lackey” and a “stooge.” Now says she wants to wipe her hands of it all after having a falling out with Craig Keller, a co-founder of Respect Washington, an anti-illegal immigration group based in the western part of the state that’s helped campaign for the measure. Murray says she heard about the sanctuary city ordinance on the Rick Rydell show last year and showed up to city council to speak against it. After the ordinance was passed, she says an effort was launched to repeal it through the initiative process but no one volunteered to sponsor the politically dicey measure. Murray says she was recruited to be the sponsor because supporters figured her roots as the working-class daughter of a Jamaican immigrant would make her an effective public face of the initiative. “I’ve done all this stuff for the glory and fame of Craig Keller,” she says. Keller, she says, aspires to be like Tim Eyman, an initiative guru who, along with the help of Councilman Mike Fagan, has become a fixture in state politics by sponsoring statewide anti-tax ballot measures. Respect Washington did not respond to multiple requests for comment. Murray says that she wants to withdraw her name and dissociate herself from the initiative, which has qualified for the November 2017 general election. However, there appears to be no clear way for her to do so. County Auditor Vicky Dalton says her office’s only involvement is verifying that 2,626 of 3,840 signatures were valid. But she’s fielded calls from members of city council and other officials asking if Murray could remove her name from the petition. Her answer: talk to city attorney Mike Piccolo. “I’m really not sure,” says Piccolo when asked by the Inlander if Murray could remove her name from the petition. “That’s kind of a unique question I’ve never run across,” says Rick Eichstaedt, executive director of the Center for Justice, of whether the sponsor of an initiative can entirely dissociate herself from it. 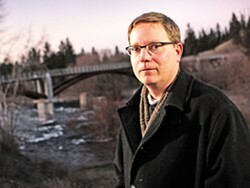 Over the summer, Eichstaedt said his group would challenge the initiative in court over a “legislative history” that was added to signature petition sheets that listed members of city council who voted for “Spokane to become a sanctuary for illegal aliens.” Eichstaedt intends to argue in court that the added text makes the initiative invalid. He says he will also look into the possible implications of Murray disowning the petition. Murray says Keller placed the “legislative history” language on the petition over her objections, and that’s when their relationship started to sour. Earlier this year, Keller travelled to Spokane to campaign for the initiative. 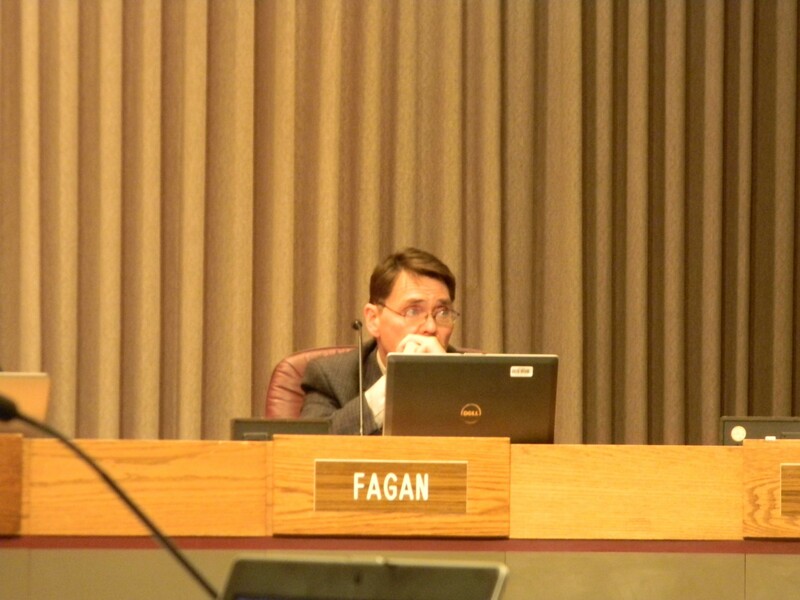 He showed up on the doorstep of Councilwoman Candace Mumm, who voted for the ordinance the petition seeks to repeal, and proceeded to argue with her. “He didn’t know who I was, and I didn’t know who he was,” recalls Mumm of the encounter. “When he told me how I voted, I informed him he didn’t have all the facts,” she says. Murray says that the exchange further strained her relationship with Keller. Murray, who was placed on Respect Washington’s board, says that Keller changed an email address associated with the group and began sending out emails with her name. She also says that she was misinformed about the origins of the immigration status ordinance. 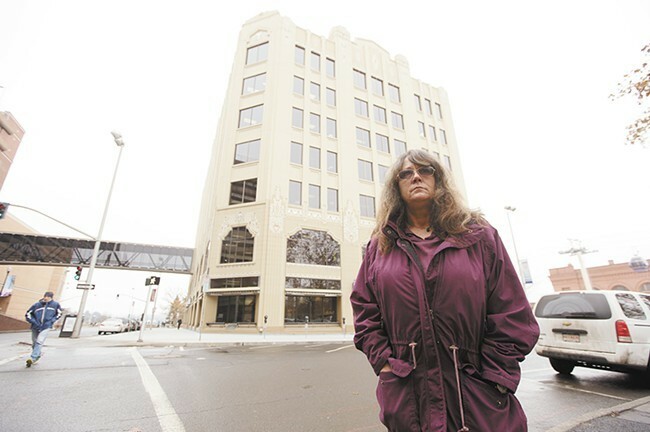 Previously, she thought that Council President Ben Stuckart, who she’s had a contentious relationship with, came up with the idea and she didn’t realized that it was originally a policy put in place under Mayor David Condon, a Republican, and codified by a left-leaning city council. “It would have mattered because I wouldn’t have been so angry at the other side,” she says. Councilman Mike Fagan, a supporter of the initiative, says he warned Murray that agreeing to be sponsor of the initiative would make her the public face of the campaign and it wasn’t a “glamorous” job. He confirms that he saw a growing animosity between Keller and Murray, who describes as becoming increasingly strained during the campaign. Earlier this month, Fagan says he had lunch with Murray and other supporters. He says she seemed committed to the effort despite her misgivings about Keller. But on Monday’s city council meeting that all changed in a very public way when Murray spoke at open forum. Despite all that’s happened, Fagan says the initiative is going forward with or without Murray. “Once those signatures are turned in they become property of the people,” he says.